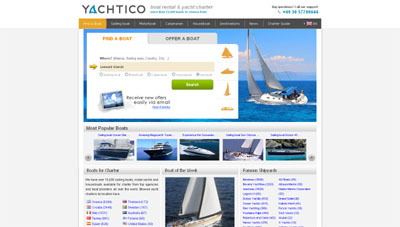 Yacht Charter & Boat Rental YACHTICO.com provides corporate, private & event charters. Offers more than 15.000 motor yachts, sailing boats, charter mega yachts & houseboats. Berlin located – multicultural and multilingual.